100 Happy Days – Week 2 | Meng, Don't Back Down! Have been sick the whole week. Let’s see if there is anything that I find myself happy with. Day 7 : Sept 7, 2014 : Irritating sore throat. Therefore, the happiest thing to do is to sleep and rest the whole day. Day 8 : Sept 8, 2014 : Went to see doctor first thing in the morning. And he gave me a two-day medical leaves due to me having fever. Happy to be able to rest for two more days, after I cleared off immediate work-tasks needing my attention. Day 9 : Sept 9, 2014 : Fully rested and watched Immortal. Caught this movie with a friend when it was shown in cinema. Watch it again on DVD, borrowed from library@esplanade. 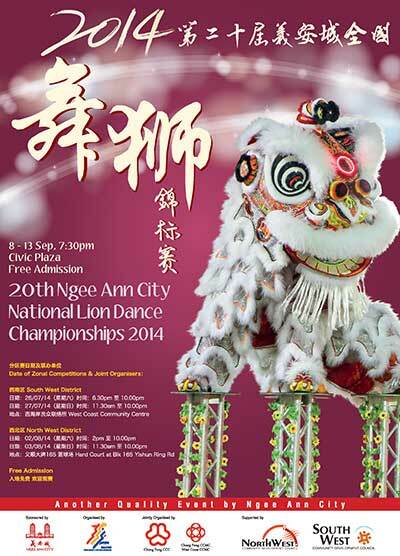 Day 10 : Sept 10, 2014 : Saw an advertisement of a lion dance tournament. Anticipating a good avenue for photo-taking. This shall be my goal to be well enough so that I could take good photos then. Day 11 : Sept 11, 2014 : Received a whatsapp message from a long-lost friend. Great to hear that she has been promoted. A well-deserved promotion for all her hardwork. Day 12 : Sept 12, 2014 : Went to Marina Square for photo-taking. I heard there’s a cosplay event going on there. Felt a little disappointed by the scale of the event (since it is just day 1). Nevertheless, at least I get to see the F1 setup around the area. F1 is coming to town!